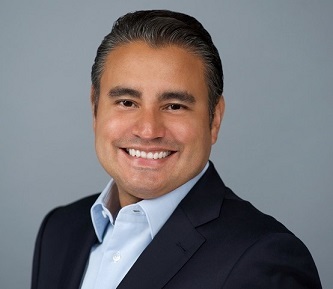 Mr. Angel L. Morales is the Founder and CEO of Morales Capital, a single family office that invests across asset classes, with a particular focus on private equity opportunities in financial and other business services. He also currently serves as a Senior Advisor and Equity Investment Partner for Star Mountain Capital, an investment firm focused on the small and medium-sized business marketplace. Mr. Morales is an Advisory Board member of Aeolus Capital Management, a firm that is majority controlled by Elliott Management and manages capital for large institutional investors in the property catastrophe insurance market. Mr. Morales previously served as Managing Partner of North Cove Partners, a firm he co-founded to manage and monetize Bank of America’s $6 billion private equity portfolio. Mr. Morales served as Managing Director and co-Head of BAML Capital Partners, the internal private equity group of Bank of America Merrill Lynch. He joined Merrill Lynch’s Global Private Equity group in 1996 as a member of the founding team. He has worked with early-stage businesses, middle-market companies as well as Fortune 500 firms in the United States and abroad. Mr. Morales was responsible for a number of transactions during his career at Bank of America Merrill Lynch that generated an aggregate profit of well over $1 billion. Mr. Morales served as a Director and Executive Committee member of The Hertz Corporation from 2010 to 2013. Hertz is a leading global car and equipment rental company that is publicly traded in the U.S. He also served as a Director and Strategic and Nomination Committee member of Rexel S.A. from 2011 to 2013. Rexel is a leading global electrical equipment distributor that is publicly traded in France. Mr. Morales also served as a Director and Audit Committee Chair of Aeolus Re, the predecessor of Aeolus Capital Management. auctioneer of motorcycles and other powersports. Mr. Morales is the Founding Chair of the Board of Trustees of Comp Sci High in the South Bronx, the first Career and Technical Education Charter School in New York State. Mr. Morales serves as a Director, Executive Committee member, Audit Committee member and Chair of the Finance and Investment Committee of the National Hispanic Scholarship Fund, the nation’s largest not-for-profit organization supporting Latino higher education. Mr. Morales is also a Founding Board member and Treasurer of Go To College NYC, an organization that supports and helps place high achieving, lowincome Latino and African-American students from New York City into leading universities. Mr. Morales previously served as a Trustee and Finance Committee member of the Oliver Scholars Program, an organization that prepares gifted Latino and African-American students for success at leading independent high schools and prestigious colleges and as a Director on the National Board of the Posse Foundation, one of the most comprehensive and renowned college access and youth leadership development programs in the U.S. He also previously served on the Board and Finance Committee of the Bronx Preparatory Charter School, one of the first charter schools in New York City. Mr. Morales holds an MBA from Harvard Business School and a BA in Economics from Harvard University. He lives on the Upper West Side of Manhattan with his wife Cassey, his daughter Gabriela (8) and his son Daniel (7).